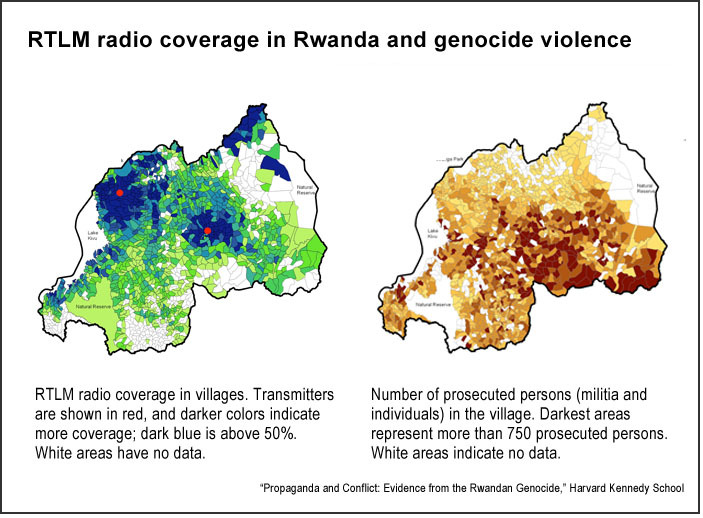 The Risks of Dangerous Speech: Lessons from Rwanda – Patrick F. Clarkin, Ph.D.
For these reasons, people find dehumanizing language —particularly in mass media— to be shocking and a red flag. For example, in 2015 the British columnist Katie Hopkins referred to migrants and refugees who attempted to enter Britain as “cockroaches” and “a plague of feral humans.” Hopkins was widely condemned, including by the UN High Commissioner for Human Rights. Other historical and contemporary examples of dehumanizing language include portraying groups of people as subhuman (vermin, insects, rats, apes, snakes, mongrels, weeds, beasts, animals), equivalent to a disease (infection, viruses, cancer), who engage in non-human behaviors (infesting, breeding, infiltrating, taking root). Benesch added that five factors come into play with regard to the effects of dangerous speech, including: (1) the influence of the speaker, (2) the susceptibility of the audience and their receptivity to messages of hostility, (3) historical context, including whether two groups have a past of conflict or animosity, (4) the medium through which the message reaches the intended audience, such as a radio or television station, or the Internet, and (5) the actual content of the speech, including dehumanization of other groups, suggesting that they pose an existential threat, and overt or subtle calls to violence. These five factors illustrate that, like all human behavior, incitement to mass violence is complex. However, one reason to focus on dehumanization is that these metaphors (insects, disease, vermin, etc.) can conjure feelings of disgust. And, as the biologist Robert Sapolsky pointed out, the same area of our brain – the insula – becomes active when we experience disgust, whether we’re thinking about rotten meat or someone’s reprehensible behavior. In his words: “When we evolved the capacity to be disgusted by moral failures, we didn’t evolve a new brain region to handle it. Instead, the insula expanded its portfolio.” Disgust is a powerful emotion that induces people to either walk away from the source, or remove it. That works well when it comes to rotten food, but removing people is another matter entirely, and one that leads inexorably to tragedy. Centuries ago, it was a question in scientific circles whether people on different continents were the same species (Smedley 2012). Some suggested they were merely varieties of humans while others guessed they originated separately, de novo. This has long since been settled: all humans constitute a single species – Homo sapiens. I would even go a step further and point out that all humans share common ancestry and can be reasonably thought of as cousins. Scientifically, we are also categorized as a type of primate, a type of mammal, and a type of animal, etc. It’s important to note that some, like the psychologist Paul Bloom, have questioned the role of dehumanization when it comes to inflicting cruelty on other people. While it may be easier for people to inflict harm on someone who they think is sub-human (and therefore undeserving of being treated as full moral agent), Bloom write that “the truth may be harder to accept: that our best and our worst tendencies arise precisely from seeing others as human.” To Bloom and others, in some circumstances it isn’t that people are blind to others’ fully developed moral agency or human intelligence. Instead, it’s that we that we can be led to believe that other people are using their full humanity in a way that is immoral or threatening to ourselves. Therefore, the reasoning goes, it’s not that others are stupid and amoral, but intelligent and immoral, and therefore deserving of punishment. I’m not sure which weighs more heavily – the dehumanization concept or the idea of moral certainty. Perhaps circumstances matter. Both lead to similar outcomes. But I think the role of dangerous speech would apply to both, the notion that it takes effort to mold public opinion in a way that can lead to atrocity. The Rwanda example suggests as much. In fact, before the genocide the UN Commander, Romeo Dallaire, implored the international community to jam RTLM to cut off the source of resentment, but to no avail (Yanagizawa-Drott, 2014.). 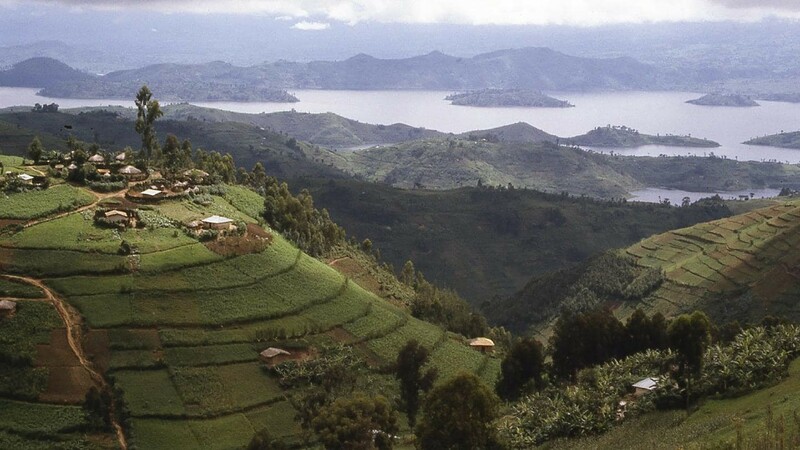 The reasons that were given included the expense of jamming the signals, and not wanting to violate Rwanda’s sovereignty or interfere with free speech or a free press. Another approach was suggested by Susan Benesch of the Dangerous Speech Project. Instead of curtailing free speech, she advocates trying to delegitimizing dangerous speech through humor or shame, instead of suppressing it. This protects the ideal of freedom of speech, while also attempting to defuse it. The risk, of course is that it is impossible to corral all dangerous speech. At a minimum, it seems a good idea to confront speech that is hateful, dangerous, and prone to incitement to minimize the risk for violence. I started thinking about this essay some time ago, but by coincidence a report came out today that Andrew Veprek of the State Department argued that leaders should not be obliged to condemn racism and xenophobia on the spurious grounds that (a) leaders should influence people’s behaviors and actions, not thoughts and (b) criticizing intolerance runs the risk of being intolerant in itself. I would agree with Veprek that there is reason to be wary of powerful leaders trying to control people’s thoughts, but I also think the Rwanda example demonstrates pretty clearly that dangerous speech (and dangerous thoughts) are linked with dangerous actions. I cannot remember where I read this, but there was a quote that I came across in graduate school that has stuck with me for a long time. I don’t mean to take credit for it, but it went something like this: “More people have died in the name of extreme intolerance than in the name of extreme tolerance.” All else being equal, if one is to err, then err on the side of tolerance. A component of that may require being intolerant to intolerance. That may not be the perfect approach, but I don’t think there is one. All paths have tradeoffs and entail a balance or clash of values. It makes sense to me to try to balance those values and choose a path that reduces the risk for atrocity. This entry was posted in Cooperation and conflict and tagged Audrey Smedley, Dangerous speech, David Yanagizawa-Drott, Emile Bruneau, Genocide, Nour Kteily, Paul Bloom, Robert Sapolsky, Rwanda, Susan Benesch. Bookmark the permalink. Another interesting angle is the narcissism of small differences. This is exacerbated by socially constructed identities. Such was the case with the Hutus and Tutsis, a division that resulted from colonialism. But in reality the two groups shared the same language, religion and culture — both groups primarily originating from the Bantu. The ability to invent divisions is surprisingly easy, as the teacher’s experiment with categorizing students by eye color. Numerous other studies have come to the same conclusion. And the powerful or those seeking power have often used this knowledge to great effect. What do you make of Susan Benesch’s notion that humor and shame are effective means of defusing hate speech? Are they? I’m quite curious about this because I’ve been looking for a means to accomplish the task for some time. Hi Paul, it’s a good question. I’m not sure, to be honest. I can imagine them working in some scenarios, but in others not so well. I think it’s probably complicated. Sorry I don’t have a better answer. Like you, I’d love to know the antidote to this. Hopefully someone will research it someday and we’ll an answer. In the meantime, I’m going to give humor and shame a try in my narrow circle. See what the effect is. .